Thank you to Peter Nolan, Winnipeg, Manitoba, Canada, for sending me this interesting menu from 1950. The Beehive Inn Restaurant was at 18+20 Grassmarket, Edinburgh. "My Mother worked in the Beehive Inn Restaurant. It was a top classey place during the war years. The fellow who owned it was Harry Fairley." 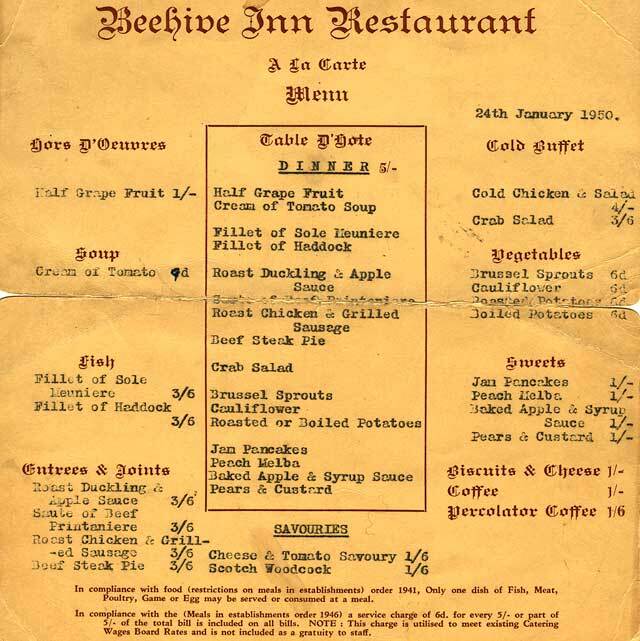 - The Beehive Inn Restaurant Menu (above) taken in 1950. - The Beehive Inn Restaurant Staff (below) taken in 1950s.